Christmas is just around the corner & if you’re anything like me you have a last minute gift or two that you still need to buy… Incase any of your gift buying is for a special plant-based pal in your life I’ve put together a little list of last minute Vegan gift ideas to help inspire you. At the time of posting this all shops below have a postage option that should arrive by Christmas day! 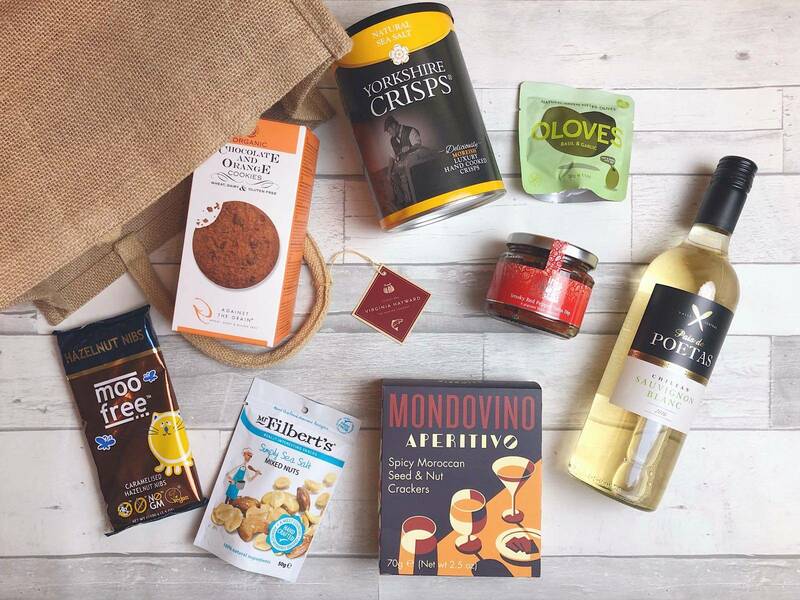 If you’re after something pre-packed and a little fancy that can be delivered straight to your Vegan friends door, Virginia Hayward Hampers have got you covered. They offer two variations of hampers in their ‘speciality diet‘ range. 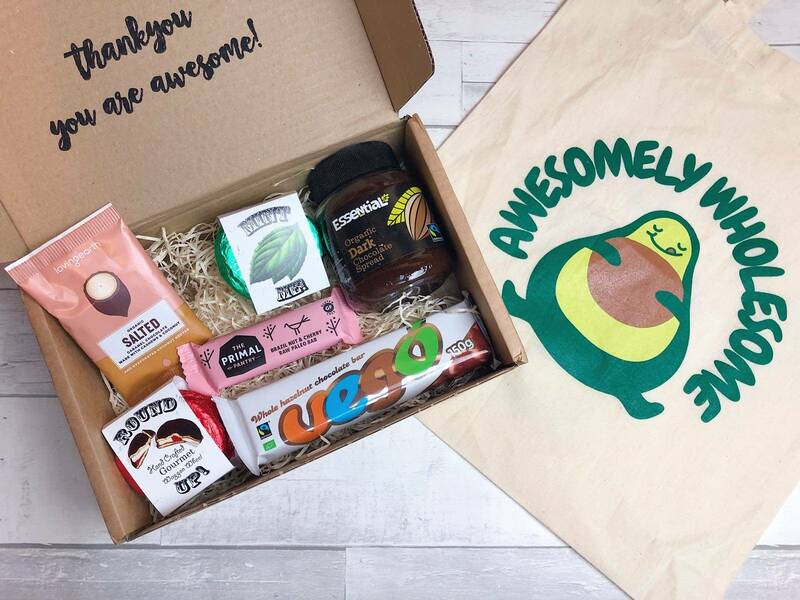 They kindly sent me the ‘Vegan Jute Bag‘ hamper (£34.99) to try out over the weekend, and I absolutely loved the selection inside, from vegan-friendly Sauvignon Blanc Wine, to a deliciously rich tomato salsa dip. As well as a customizable label on the box, it came packed inside a nice bag, that I’ll be using to do food shops from now on! As far as chocolate goes there are all kinds out there that are vegan friendly, but I am a sucker for a good rich dark chocolate. Hotel Chocolat have a fab range of vegan-friendly products (57 items on the site at the moment to be exact), including cocoa infused spirits, as well as some specific Christmassy items – such as a Jolly Santa, Solid Chocolate Snowflakes and Christmas Wreathes pictures above which they kindly sent me to try, and are perfect stocking sized gifts. I’ve previously tried some of the other items, including the Cocoa Gin (which you can read about in my review here) and I can confirm it’s absolutely delicious. 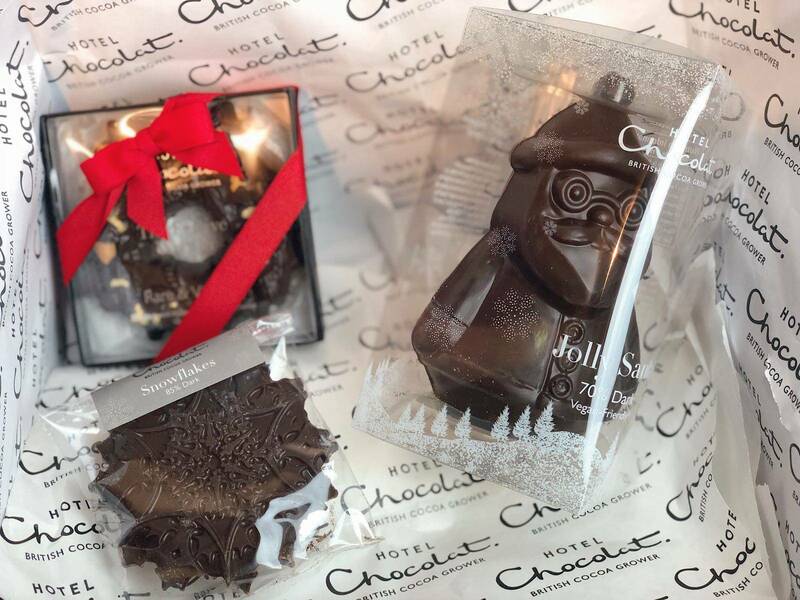 The good thing about Hotel Chocolat is that there are plenty of shops scattered around the UK too, so if you’ve missed your chance to order online, do not fret – there’s still time! Find where you’re nearest store is, here. 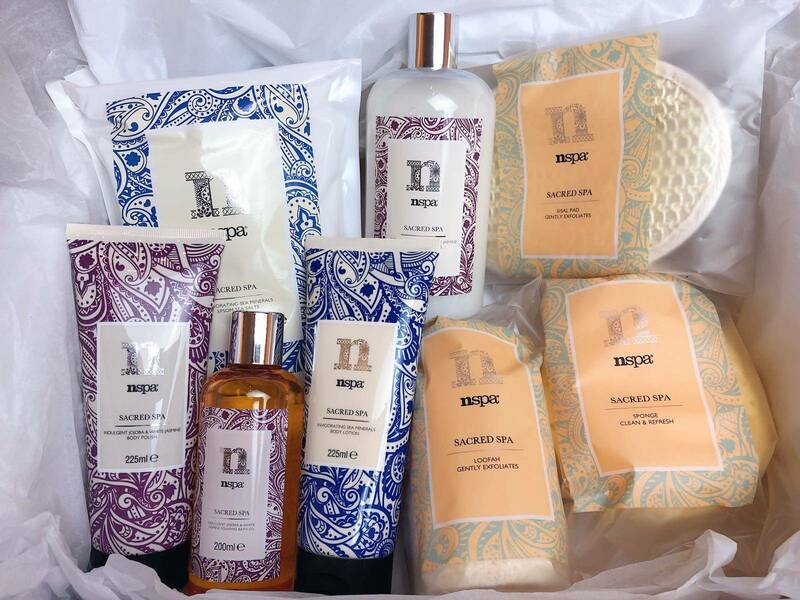 NSPA ‘Sacred Spa’ items – available at ASDA. For affordable and 100% cruelty-free cosmetics, NSPA needs to be right at the top of your list. With products from their new range ‘Sacred Spa‘ starting at just £3 each, they’re the perfect addition to your animal-loving friends toiletry selection. Pretty much every town has an Asda, so there’s no excuse to not check out the shelves when doing your last minute food/booze shops incase you’ve forgotten something. (Double check the ingredients on the items you choose as a few items aren’t fully Vegan). 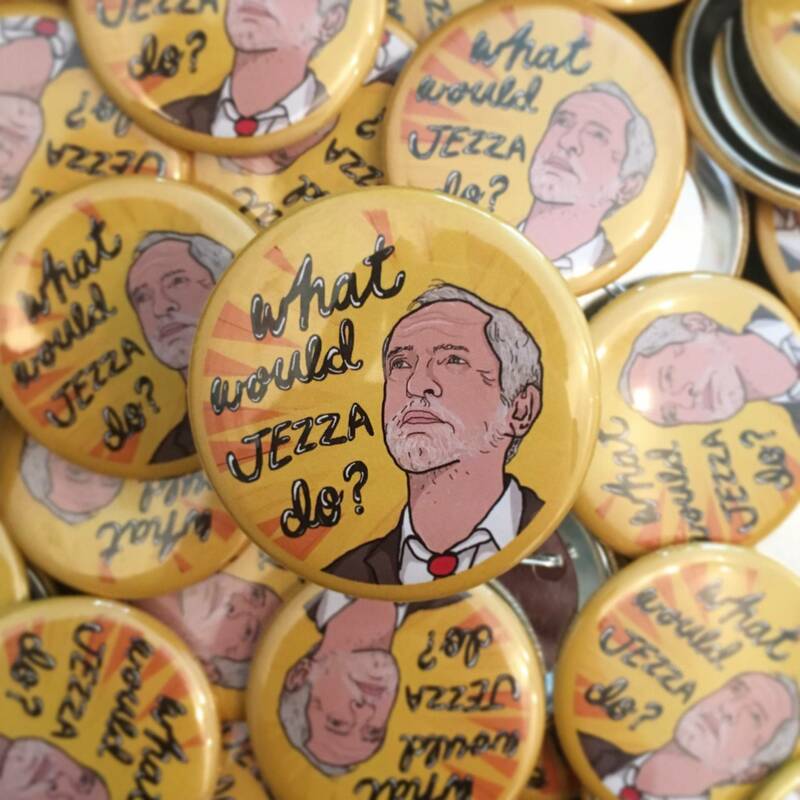 I came across Moocylu’s Designs on Instagram after seeing the fabulous “What Would Jezza Do” badge in my discover feed (it’s no secret I’m a big Jeremy Corbyn fan). They also do super cute avocado themed items For my birthday in November a friend also got me two of the smaller badges, one that says “Team Hummus” and the other “Vegan Pizza Lover“. Perfect little gifts for your vegan, intersectional feminist friend, that won’t break the bank. 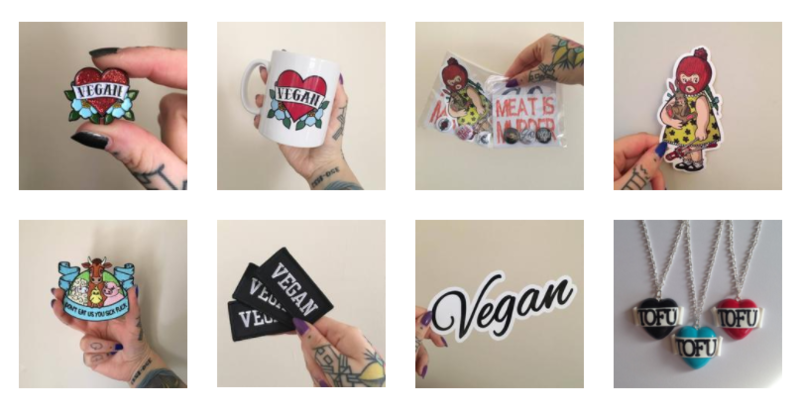 Set up by a friend, All Glamour No Guts sells a range of pins, patches, jewellery, clothing and bags promoting veganism, from sassy cartoons with slogans to statement Vegan necklaces and patches. I bought an avocado keyring from AGNG a while back, which still has pride of place on my house keys, and I’m currently waiting on a sparkly red vegan heart pin I pre-ordered which I understand was shipped today! I cannot wait to receive it & add to my growing pin selection. Country specific shipping deadlines can be found here. I hope some of these suggestions have helped you for last minute Vegan gift ideas – Happy Shopping! Some of the items in this blog were gifted to me, however my thoughts on the products are an honest reflection of my opinion.